Muslim cleric Abu Qatada has won his appeal against deportation to Jordan, where Mitting J concluded that he would not receive a fair trial. 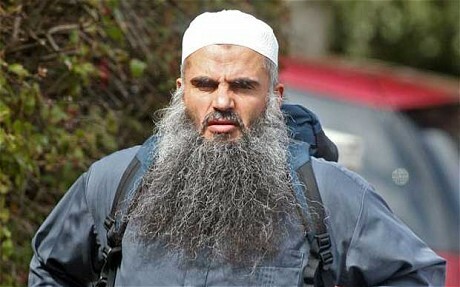 Qatada was convicted of terror charges in Jordan in his absence in 1999 but so far he has successfully resisted being sent back there because of the risk of an unfair trial, despite the assurances given by Jordan to the Home Secretary assurances that no evidence gained through torture would be used against him. As Mitting J said, once it has been established that there is a “substantial” risk that a person will not receive a fair trial in the destination state, the government must demonstrate that there is no risk that person will receive a “flagrantly unfair” trial. This is a lower test than demonstrating that no risk at all existed. But on the basis of SIAC’s findings, Mitting J found that there was in fact a real risk that evidence obtained by torture of two men had been obtained by torture. A quick scan of the list of “Related Posts” below reveals the prolonged history of this case. Enough already? Apparently not. 1) Irrespective of the means by which they were obtained, are these statements now admissible at all under the Jordanian Code of Criminal Practice? 2) If they are, is there a real risk they will be admitted even though there is a ‘real risk’ that they were obtained by torture? The first question was not to be conclusively answered. Until and unless the [Jordanian] court of Cassation gives us an authoritative ruling on the question, it must remain open. On the Article 3 question, SIAC remained satisfied that the assurances given by the Jordanian government provide, in their practical application, a sufficient guarantee that the appellant will be protected against the risk of ill-treatment by the Jordanian state. The government has confirmed that it will appeal. The Court has reached a reasoned out decision sitting as a neutral ‘artbiter of the law’. David Cameroon could be acting in contempt of court by criticising the court decision. Judges are not fudges who just sit and make stupid and baseless decisions. They are learned experts in their field just like medical Doctors and nurses. Every decision has a ‘ratio decidendi’, the reason for the decision. The doctrine of Parliamentary Supremacy is flawed when it comes to human rights protection. The accused individual faces the mighty power of the state with its majoritarianism which always threatens to legislate away the rights of those who find themselves in the minority. No wonder Lord Hailsham described Parliament as ‘elective dictatorship’ and MPs like David Davis always find themselves arguing in the minority in defence of human rights. ‘Human Rights is essentially a claim by an individual against the majority’. The Accused, who is presumed innocent until proven guilty finds himself terrified and powerless against the might of the state and the overwhelming irrational clamour of the public baying for his blood. No one stops to think, what is he accused of?. Has he been charged of any crime in this country? Why is he not put on trial in the UK?. on this earth may he never rest! A disordered mind is its own hell…if you want to get rid of him and others like him…. follow the way of the birds….sqwark at them incessantly and do not let him sleep in your nest! I have a lot of respect for Mr Justice Mitting and the two other senior judges; they are guided by what they think is fair and right not by what they are “supposed” to do nor the chihuahua-like yapping of the Daily Express.